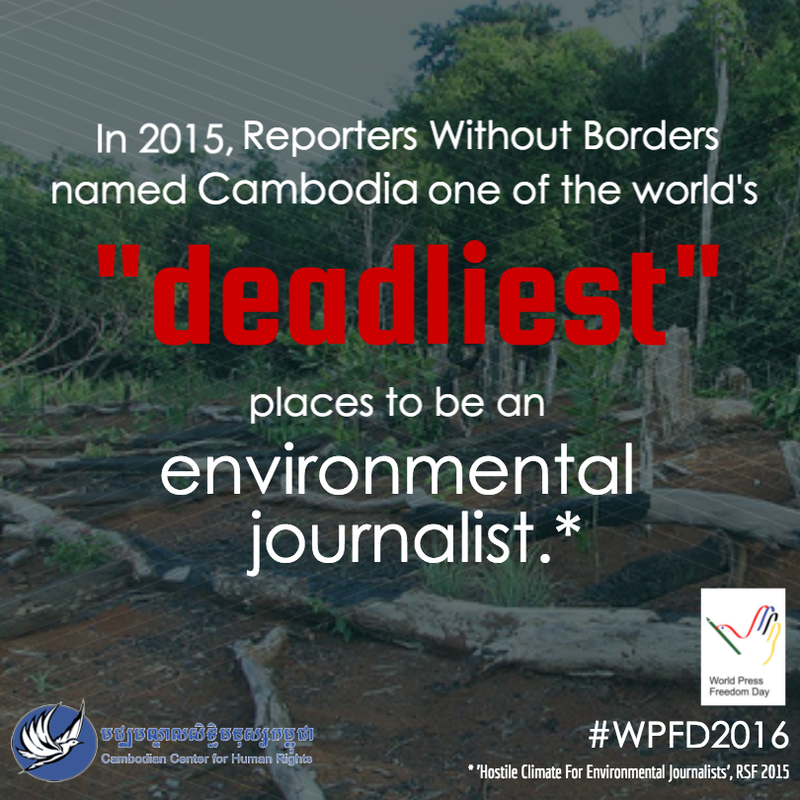 World Press Freedom Day: why is access to information important in Cambodia? Today marks World Press Freedom Day (“WPFD”), an annual initiative that aims to promote and protect freedom of the press across the globe. The principal focus of this year’s WPFD is access to information, an essential requirement of any truly participatory democracy, insofar as it “allows for public scrutiny, oversight, participation, and empowerment”. As the recent Panama Papers debacle (in which Cambodia’s Minister of Justice was named) highlights, access to information is crucial to the fight against corruption and, by extension, the promotion of good governance. Guaranteeing access to information is crucial in Cambodia, given the deeply entrenched corruption within the country. To mark WPFD, CCHR released a series of infographics as part of a social media campaign to highlight the situation of press freedom and access to information in Cambodia. The social media campaign can be followed through CCHR’s Facebook and Twitter accounts. “I strongly believe that access to information is extremely important in this country as it aims to ensure an effective democracy and the rule of law… access to information is part of basic human rights to ensure governmental transparency. What are your views on access to information in Cambodia? Please share your thoughts in the comments section below! This entry was posted in Freedom of Expression by Cambodian Center for Human Rights. Bookmark the permalink. I empower BETTAFISH fighting I have a royal pair of fighter plakat bettafish named (KING JETI) and (QUEEN MEGABITE) I can’t wait till I breed them I’ve studied the babies and the study shows they will be born (20* MUHAMMAD ALI STYLE FIGHTER PLAKAT BETTAFISH.). As for Cambodia your plakat fighter bettafish their fightstyle is like boxer George Foreman and boxer Brian London your fighters will lose 😆😆😆😆😆😆😆😆😆HA HA HA HA HA HA HA HA HAAAAA. I challenge your Cambodia plakat fighter bettafish. My fighter plakat bettafish will fight like boxer MUHAMMAD ALI. That’s why I call them (20* MUHAMMAD ALI STYLE FIGHTER PLAKAT BETTAFISH.) your plakat fighter bettafish will NEVER have this fightstyle.